Prince William has started his first day at Bond Air Services as he begins his training to be a pilot for the East Anglian Air Ambulance. It's been reported that Prince William is to announce he'll become a helicopter pilot for the East Anglian Air Ambulance. The Duke of Cambridge gave up his job as an RAF search and rescue pilot nine months ago to start a year of public service placements. The Duke of Cambridge is said to want to get back to flying, and the part time role would give him the chance to work either from Cambridge or Norwich, while living with his family at Amner Hall on the Sandringham estate. 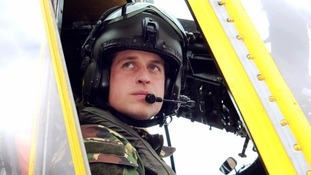 Duke of Cambridge to join Air Ambulance?